Sports injuries are a common problem for all athletes, whether you are at the professional level, a college or high school competitor or a weekend warrior. Many sports injuries are not caused by a one-time trauma to the body, like you would expect, but by repetitive overuse of a muscle over time. The goal of Dr. Murray, Dr. Meye, and Dr. Reimer at Lake Country Health Center are to provide complete recovery from an injury and to teach athletes how to adjust their training, fitness level, conditioning and posture to avoid injury in the first place. 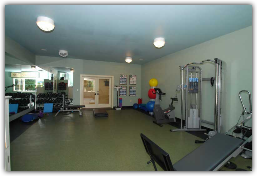 The Center features an expansive rehabilitation area onsite containing the best in rehabilitative equipment and technology including: a Precor FTS Glide weight station, free weights, GTS gravity training system, and a Woodway treadmill. Dr. Murray, Dr. Meye, and Dr. Reimer have completed extensive study on sports injury prevention and treatment and have an arsenal of natural alternative therapies available to help athletes reach peak performance, recover from injury, and maintain a strong, healthy body for the sport they love. 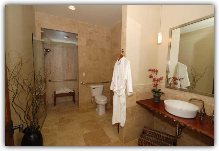 In addition, Lake Country Health Center offers amenities to patients that relax and soothe muscles before a training session or after a treatment including a soothing aromatherapy steam shower and an infrared sauna to warm up muscles and detoxify the body. A 1991 study in the Journal of Chiropractic Research and Clinical Investigation revealed that chiropractic care can increase athletic performance by as much as 16.7%.